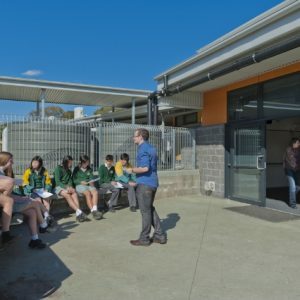 Our Junior Campus is a unique setting in Victoria as it comprises only Year 7 and 8 students. 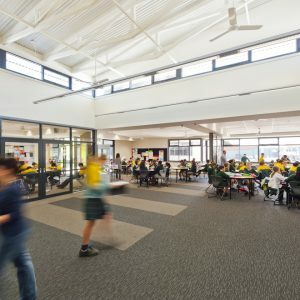 The transition from primary school is greatly assisted by this structure. The campus is a flagship school and has received international attention for design and use of purposeful learning spaces. We have hosted many visitors from local, national and international schools who are interested in our innovative learning programs. 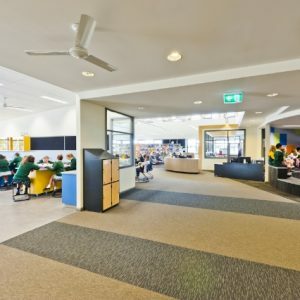 Students and staff are actively engaged in working in learning spaces where teams of teachers and students use our Explicit Instructional Model. This model includes a 1/3 direct instruction, a 1/3 independent learning and a 1/3 cooperative and collaborative learning.